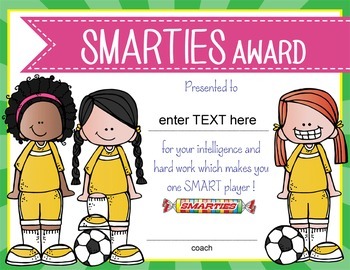 Need a fun way to acknowledge all the difference personalities on your soccer team? 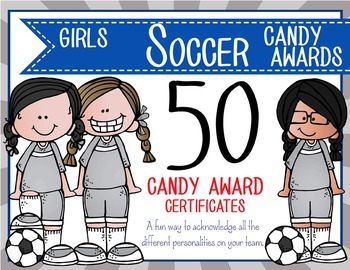 This purchase includes 50 Candy Award Certificates (8 1/2 x 11). - Click on the text box to enter player’s name. - If you would like to hand write player’s name, you can delete the text box. - Type or sign coach’s name at the bottom. 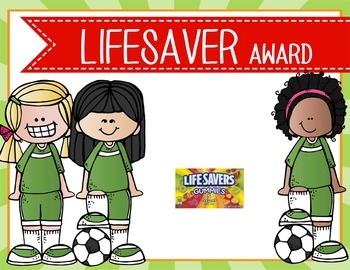 - If you would like to create your own candy award (maybe to reference a particular game, shot, etc.) 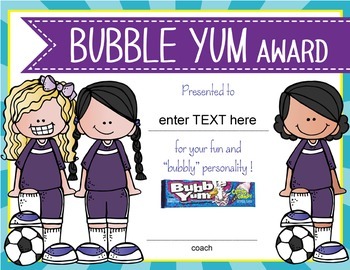 you can use the MS PowerPoint titled – Candy Awards – you create. Take 5 - award for working so hard - you should "take 5"